National teams will chase the Brazuca across the greens in just a couple of weeks and Brazilian World Cup is already controversial. Read about the most shocking moments in the history of the World Cup. Before the start of the 20th FIFA World Cup in Brazil we looked into the past to find the most shocking moments football can offer. 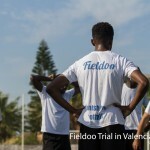 The Fieldoo list is in a historic order and you can read the first part here. The reason that all of the final group-stage matches are played at the same time is, shockingly, a match between West Germany and Austria in 1982, where a victory by one or two goals would eliminate Algeria and send both countries a step closer to the title. The West Germans scored 10 minutes into the match. After that, both teams kicked the ball around the field, doing very little, almost intentionally trying not to score. The final score line of 1-0 eliminated Algeria. Diego Maradona against England, everybody knows about an event when God intervened with his hand to help Maradona score in Mexican World Cup in 1986. Six minutes into the second half English goalkeeper Peter Shilton and Maradona jumped to get the ball. Shilton, although much higher couldn’t reach it before the Argentinean that scored a goal. God saw the hand that Maradona scored with, but referee didn’t and Argentina became the world champion. Home team always has a small advantage but in the 2002 World Cup South Korea knocked out Italy and Spain … with the obvious help from the referees. Korea scored first and it was a discussable goal, after that the referee disallowed legal goal for an imaginary offside and gave Francesco Totti a red card, apparently for diving. Golden goal against Italy and another quarterfinal win against Spain with two legal but disallowed Spanish goals sent Korea into the semi-final where the Asian team lost against Germany. 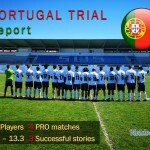 Portugal and the Netherlands national teams are not particularly aggressive, well if we don’t count Pepe, but in 2006 he didn’t play for national team and Russian referee Valentin Ivanov was still forced to hand out a record four Red Cards and an unprecedented 16 yellow cards, both of which are records in any FIFA tournament. What a player Zinedine Zidane was in 2006 World Cup in Germany where he was the reason France got to the final match where they faced Italy. 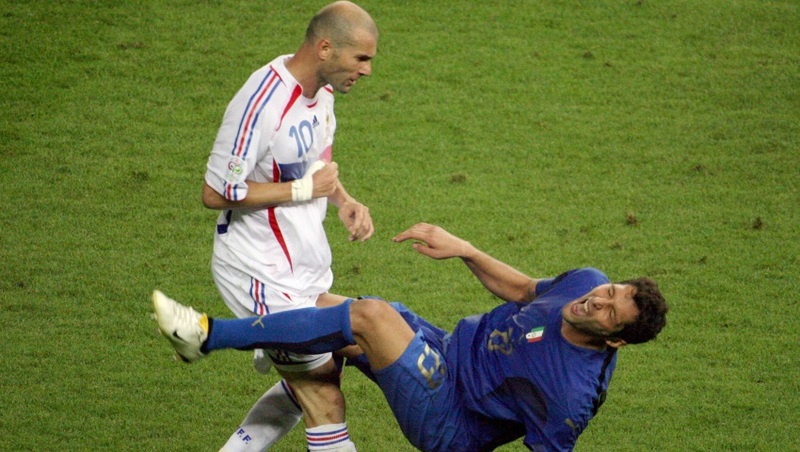 Buffon was beaten by Zidane from a marvellous penalty but in the 110th minute the hero fell for the Marco Materazzi provocation and head-butted him in the chest. Red card for the hero and lost match in the penalty shootout which Italy won 5:3.